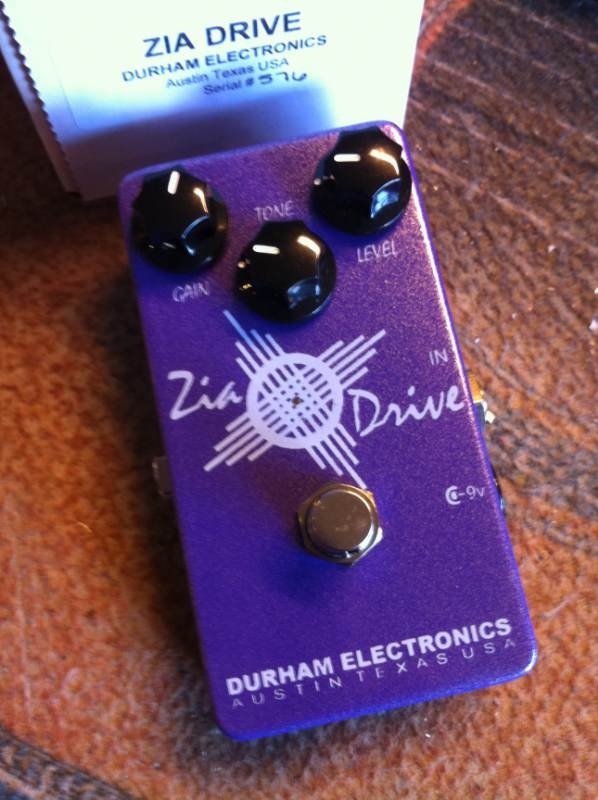 What is a Zia Drive? A very tight low compression overdrive pedal designed to be that perfect rhythm guitar box. If you hate the feeling of sag in your fingers this is the box for you. Early 70's Stones fans will love the ZIA! !